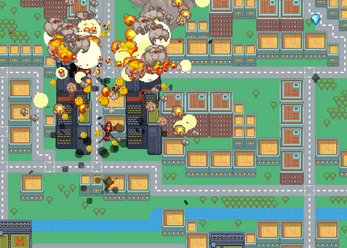 Welcome to helicopter mayhem a pack filled with pixel explosions, lasers, missiles and more. 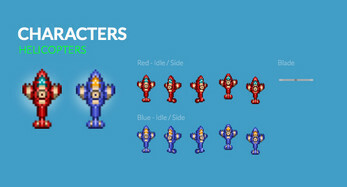 The perfect game assets to get started with that shooter or why not a helicopter arena fighter. 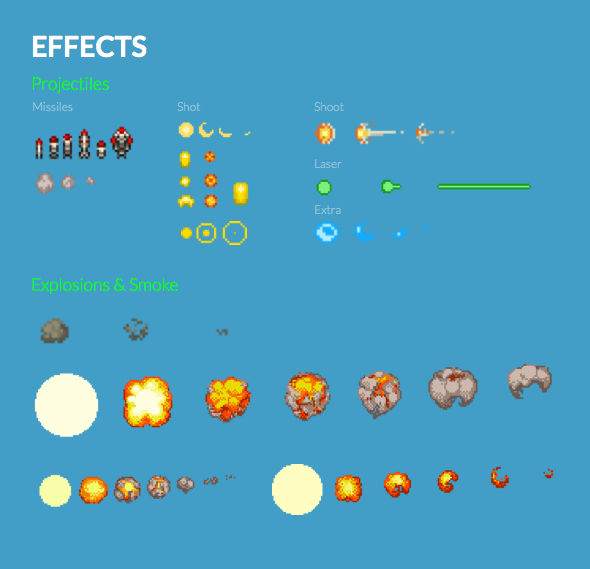 Explosions – Let's blow stuff up. 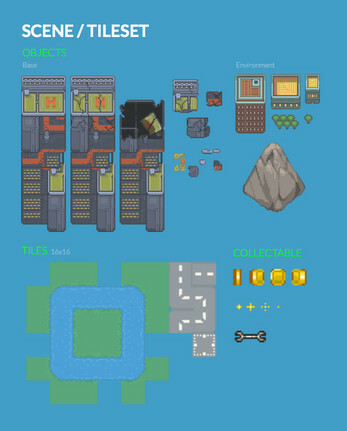 Objects from trees to chests and coins. Heads-up Display – Hearts, item-holders, Numbers & Pixel Alphabet. 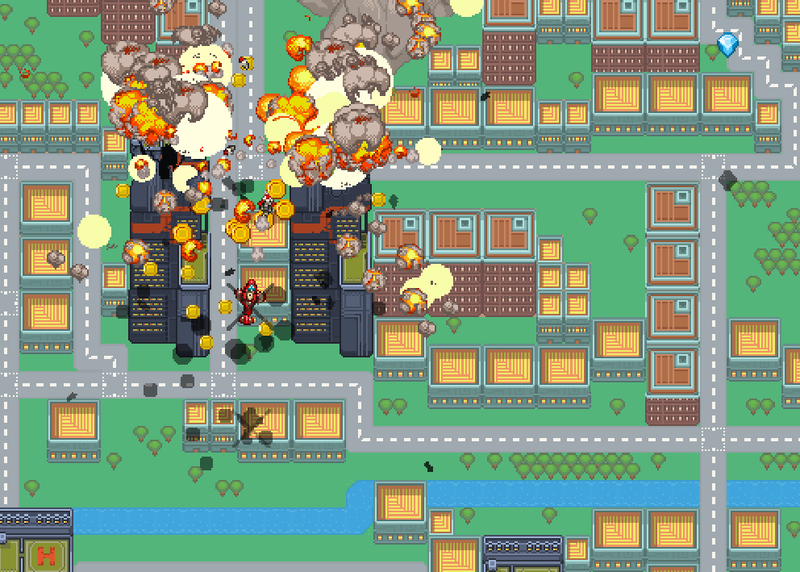 Touch controls – To help all mobile game developers out there. Get more GUI with the Super Game User Interface. Stop reading and go create some awesome games. License info: Asset Store Terms of Service and EULA. You can use them in any project you want, commercial or not, but you can't resell or freely share them as assets or a part of a stock item/template.